A private detective who reluctantly takes a case to find a girl who is lost in a dream. 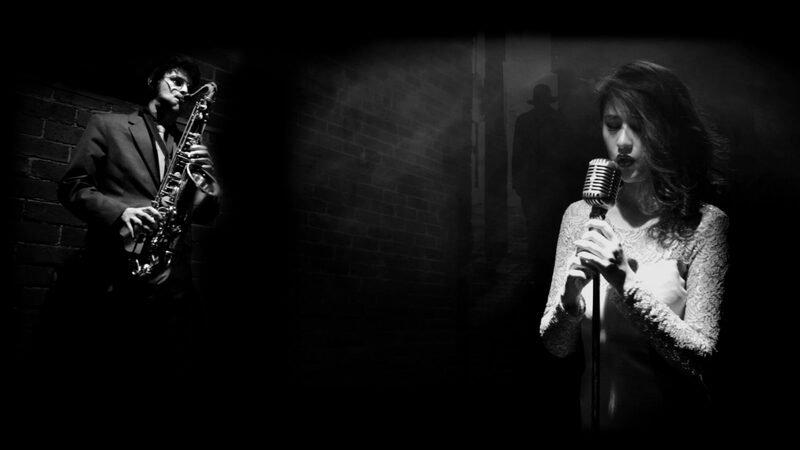 Set in the Jazz world of 1954 Melbourne, Burn City. Jobs are far and few between for Private Detective Frank Drennan and he drags his heart around on a fifty-pound chain. A case arrives at his office and with his reluctance it will take him into a world of sultry jazz club singers, surreal dreams, metaphysical philosophies, a mysterious comet and a sleeping beauty. All to solve The Case of the Shanghaied Songbird. The style is like a knowing wink to the nostalgia of ‘Film Noir’. And in this way it will give the film a good-cheer or jeu d’esprit (sometimes the French just say it better) 🙂 even with Frank’s heavy heart. Private Detective Frank Drennan will be played by Jack Campbell. Jack played Dr Steve Taylor in All Saints and Jim Devine in Underbelly Razor. Vera, the femme fatale Jazz Club Singer will be played by Natalie Mendoza. Amongst Natalie’s extensive credits she has just finished a season in London as one of the leads in the musical Miss Saigon. The Case of the Shanghaied Songbird will be a film that uses all the stylish elements of a ‘Film Noir.’ High contrast, strong shadows, the cynical sleuth, the sassy secretary and the sultry femme fatale (who has all the answers). Frank’s language is hard boiled slang as he refers to crooks, shysters, dames, croakers, quacks and ‘the stool pigeons down at the clubhouse’. The difference is where a traditional Film Noir case will generally be about solving a murder or theft, in this case the private eye is attempting to find a girl who is lost in a dream. She hasn’t woken from sleep in six months. The doctor’s call it Kleine-Levin Syndrome, but Isobel’s grandmother is convinced that it is something else and it’s when she hears Isobel cry out Frank’s name from her slumber that the mysterious case unfolds and her connection to Frank unraveled. Frank will be forced to think outside the square in order solve this case and ultimately question his own life as it relates to Isobel’s, the girl lost in a dream. The Case of the Shanghaied Songbird will be shot on the Red Epic Dragon Camera. It will be a visually stunning film with a traditional ‘film look’. This will contribute to the haunting and beautiful mood of the film. The hire rates for this camera and its lenses are quite expensive, but will certainly be worth the end result. Another large section of the budget will be used on Art Department, as you can imagine it will be quite the task to recreate 1954 Melbourne. The surreal dream sequence is also a large Art Department job. The rest of the budget will be spent on wardrobe costs, location hire, equipment hire, wages for the key cast and crew (except myself) and post production. Usually I would fund my own film projects, but this one, mostly because it is a period film, will require an exceptional production design, special camera and lenses and an extraordinary cast and crew. Your support will enable us to create a visually stunning motion picture of style and substance. The soundtrack to the film will be Jazz inspired. From an evocative saxophone drifting down a lonely street to a sultry and hauntingly beautiful Jazz number performed by the actress herself Natalie Mendoza. The film will be submitted to acclaimed film festivals both nationally and internationally. Scott is a Melbourne based filmmaker, his short films are highly visual and usually explore existential themes in a lyrical way. Scott is involved with the entire filmmaking process from scriptwriting, producing, directing, cinematography to editing. He began his art form using 16mm film, this process has given him a strong foundation for the importance of each frame in a film, how it relates to the next and overall composition. Scott has a boutique production business, Blue Starling Films. Under this business he is primarily involved with creating films for music videos, events, documentaries on artists and show reels for actors. He has also been commissioned as Director of Photography on numerous short films and television shows. His short films have been screened at festivals both nationally and internationally. His most recent film in early 2016 is presently shortlisted for the Byron Bay International Film Festival. Scott is currently in pre-production on a twenty minute film noir set in the 1950’s Melbourne. He is also developing his first feature film script, another period piece based on a true story from 1946 Australia.